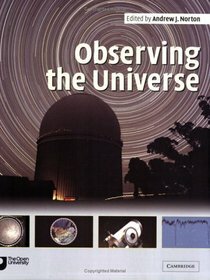 I had to purchase Observing the Universe: A Guide to Observational Astronomy and Planetary Science, by Andrew Norton, for the Duke TIP program at PARI. It explains in good detail many aspects of observational astronomy. Good book for a serious introduction to this subject. Somehow I found this video about Cymatics. It shows some very odd things that sound waves can achieve. Here is Part 2 and Part 3 of the video. It’s rare to find a professor who teaches with the enthusiasm and fun of MIT Professor, Walter Lewin. Which is why I highly recommend the his video lectures on Physics. Also, I would suggest watching the physics lectures of Richard Feynman.